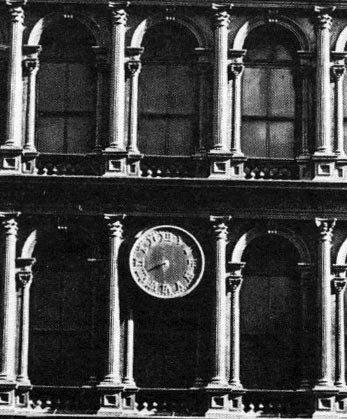 SoHo Memory Quiz Answers Part III | SoHo Memory Project. These are the remaining answers from the SoHo Memory Quiz. It turns out that as a group, we have a pretty good memory. At least one person correctly answered each question. Thanks for your participation!!! 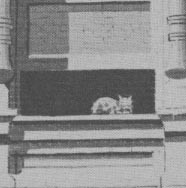 What are these details from the old-time SoHo landscape? 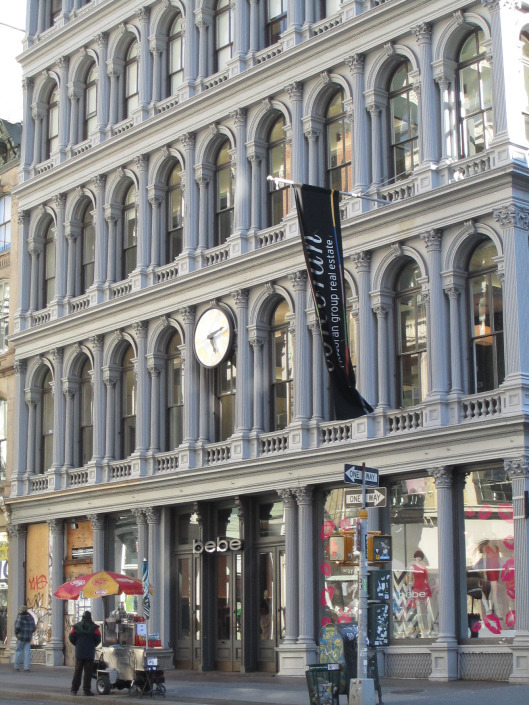 If you lived in a loft in SoHo in the 1970's or 80's, chances are, you've made at least one visit to Zelf Tool and Die Works at 44 Greene Street in your life. Owners Xelphin Dugal (Zelf) and Rene Schwartz (Chickadee) were quite a pair and put on quite a show! Crammed into the first floor of his 1830s cast-iron-front building are a multitude of lathes, planers, pantograph engravers, band saws, welders—even a 40-ton power press. Not only are these for rent by the hour but, and this is what makes Zelf’s really unusual, even if you’re a complete novice you can use them. He will teach you on an individual basis (reasonable hourly charges by arrangement). Half a day with a welding torch ($2 per hour for cutting, $3 for burning, acetylene and oxygen supplied) has convinced several sculptors to switch from marble to steel. Read my post about Zelf (Zelf Made Man) here. This is a part of the mural on the facade of 175 Spring Street, Metropolitan Lumber, formerly Gem Lumber. This building looks pretty much as it did 40 years ago, and, sadly, this is one of the only remaining "murals" in SoHo. There was a time when they were everywhere. The ones that stick out in my mind were the mural at West Broadway and Houston by Jason Crum and the mural at Mercer and Houston by Dorothy Gillespie, but there were lots of others in and around the neighborhood. And then there are the two that are still up, namely, the trompe l’oeil mural by Richard Haas at Prince and Greene and, of course, “The Wall” by Forrest Myers at Broadway and Houston, which is also called “The Gateway to SoHo.” Read my post on SoHo murals (From City Walls to City Malls) here. Fanelli’s, known by a variety of other names before 1922 when Mike Fanelli bought it and ran it for the next 60 years, has been continuously serving food and drink to the public since 1847. This makes it the second oldest such establishment in New York City. If you go into the back room, liquor licenses from years way past are framed and hung around its periphery as a testament to its longevity. 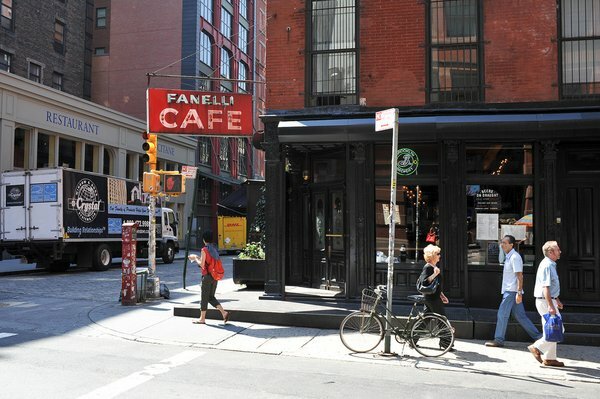 Read my post on Fanelli's (The Cafe on the Corner) here. 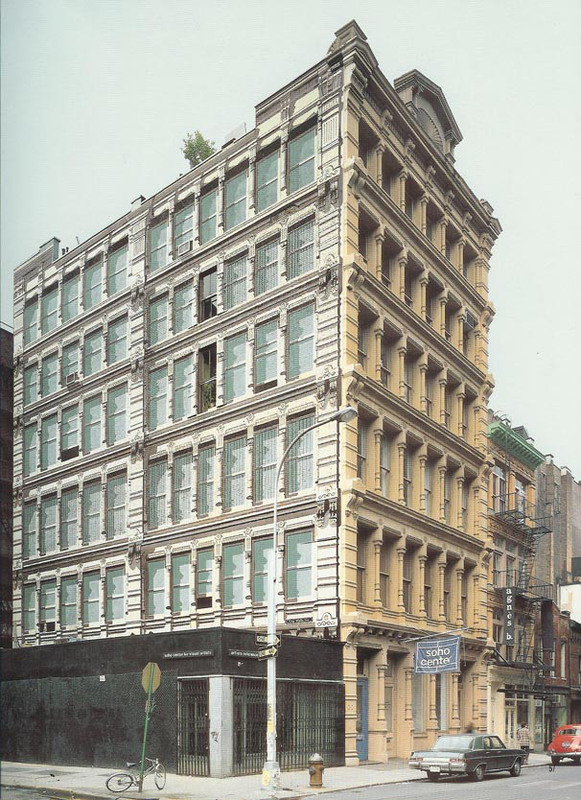 Let There Be Neon, now on White Street in Tribeca, was originally on West Broadway near Prince where the Flats Fixed gallery once was. Founded by Rudi Stern (who deserves a post of his own), the gallery was there for ages and ages, its cavernous interiors lit by glass tubes filled with glowing gas that twisted and turned to make multi-colored images and signs. Read my post on Let There Be Neon and The Museum of Holography (Gallery Guide) here. From Linda Chiu's post A Walk to Remember. Read the entire post here. Flyer for Canal Jean Co.
K: Promotional Flyer for Canal Jean Co. 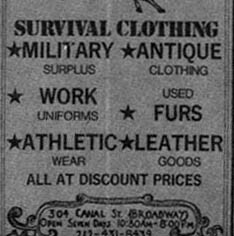 Opened in 1973, Canal Jean moved off Canal Street to Broadway where they expanded to several floors. They sold, well, jeans, as well as dyed t-shirts, vintage clothing, army gear, and with every purchase gave away buttons with their logo on it that were “brandished” on every jean jacket and backpack of a certain downtown set, mostly teenagers (I was one of them!). 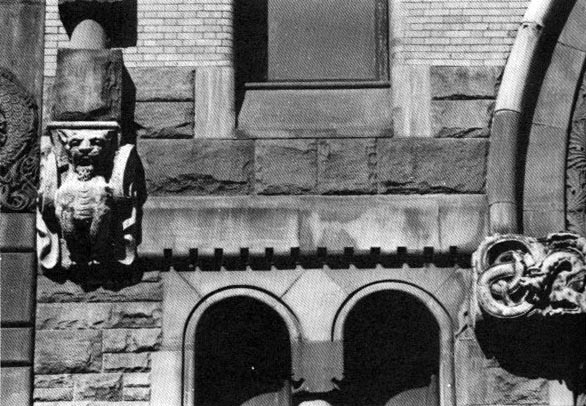 They have long since moved to Nostrand Avenue in Brooklyn, but are still around. Read more about Canal Jean here. 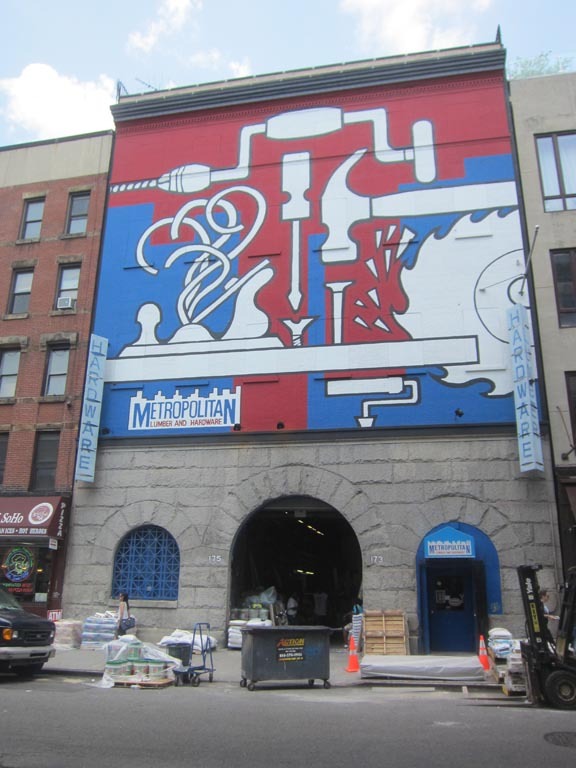 Many of SoHo's murals, including this mural by Richard Haas, were sponsored by City Walls, a not-for-profit organization, established in 1969 by Crum and others, that worked with artists and communities to revitalize New York City through public art. SoHo was not the lively hub of activity back then as it is today. The murals of City Walls and others added a much needed splash of color to an otherwise pretty drab landscape. 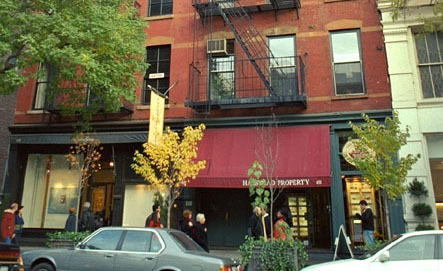 Read my post on SoHo murals (From City Walls to City Malls) here. 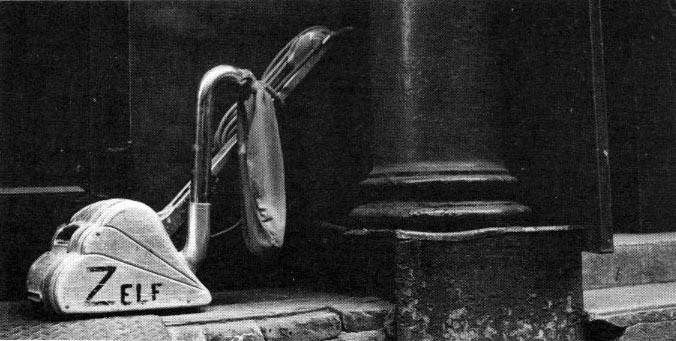 The pure spirit of a bygone SoHo. I love it! 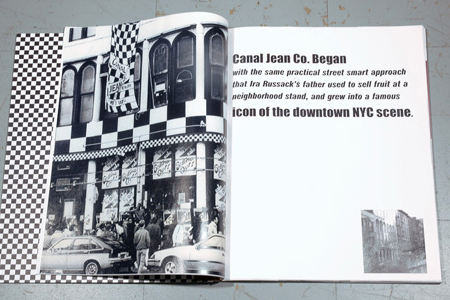 A special nod to Anderson & Archer's SoHo: The Essential Guide to Art and Life in Lower Manhattan by Alexandra Archer and B.J. Archer, whence much information and many images for this quiz came. 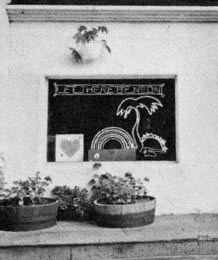 Published in 1979, this guide is long out of print, but is a wealth of information about SoHo. It is available used from abebooks.com, for those of you who would like to brush up on olde tymes.